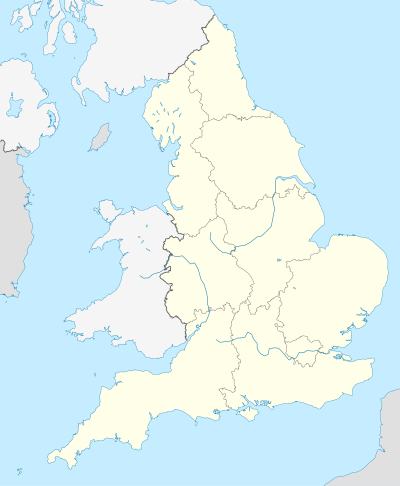 The 1979–80 season was the 81st completed season of The Football League. Bristol City and Bolton Wanderers were relegated after brief, uneventful spells in the First Division notable only because Bristol City’s relegation ends the last time South West England had a team in the top tier until Swindon Town's promotion to the Premier League in 1993. On the other hand, Derby County's relegation came just five years after they had been league champions. Liverpool won the First Division title for the fourth time in five seasons, finishing two points above Manchester United, who had their best league campaign for more than a decade. Ipswich Town, Arsenal and Nottingham Forest completed the top five, with Forest also retaining the European Cup, while Arsenal were on the losing side in the finals of both the FA Cup and the European Cup Winners' Cup. Wolves, who finished sixth, won the League Cup. ^ Wolverhampton Wanderers were this season's League Cup winners. Leicester City won the Second Division title for a record sixth time to reclaim their First Division status after a two-year exile. Birmingham City achieved an instant return to the elite in third place, while the final promotion place went to Sunderland. ^ "England 1979–80". Rec.Sport.Soccer Statistics Foundation. Archived from the original on 27 January 2010. Retrieved 2010-02-24. ^ Ian Laschke: Rothmans Book of Football League Records 1888–89 to 1978–79. Macdonald and Jane’s, London & Sydney, 1980.